This stunning group of extra virgin olive oils represents the best new olive oils available this week. These have just arrived from Italy and are now available at Olio2go to grace your table. Which brings us to a funny point. Do you know that a fair number of Americans don’t recognize fresh olive oil? News from UCDavis says that qualities favored by expert testers (called assagiatori in Italy) are not the same as those recognized by consumers. Those consumers seem to prefer characteristics tending toward rancidity. (Is that grocery store familiarity?) To us, this is a significant concern. If you are hosting a tasting party for your friends, let us know when you place your order. We’ll be happy to include disposable tasting cups for your party. Share the joy of astoundingly good olive oil! Left to Right, the oils are: Crudo (Puglia), Olivarte (Lazio), Frantoio di Sommaia (Tuscany), Titone Organic DOP Valli Trapanesi (Sicily), Castello di Volapaia Organic (Tuscany), Frescobaldi Laudemio (Tuscany), and Olio Verde al Limone (Sicily). You can see them all right here on one page. By now you have likely heard the week’s biggest food news. 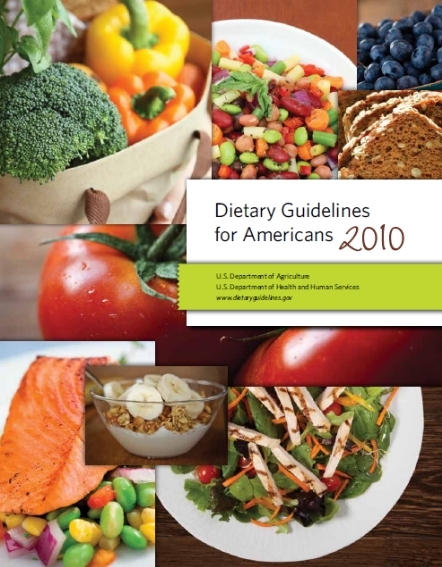 The New York Times’ Opinion Columnist, Mark Bittman, has taken the U.S. Agriculture Department to task this week for their latest publication, Dietary Guidelines for Americans, 2010, a five-year update of recommendations. Mark Bittman took this word-dense document to task and began the rallying cry for clear guidelines and simple words: Eat Real Food has been blogged, texted, tweeted and Facebooked around the global Internet. Here’s the skinny. The paper is filled with both common sense and complicated factoids. It’s very easy to make fun of this 112 page document. Deep into the pages of the report, there is an endorsement of sorts for the Mediterranean Diet, subhead labeled as Research on Mediterranean Eating Patterns. 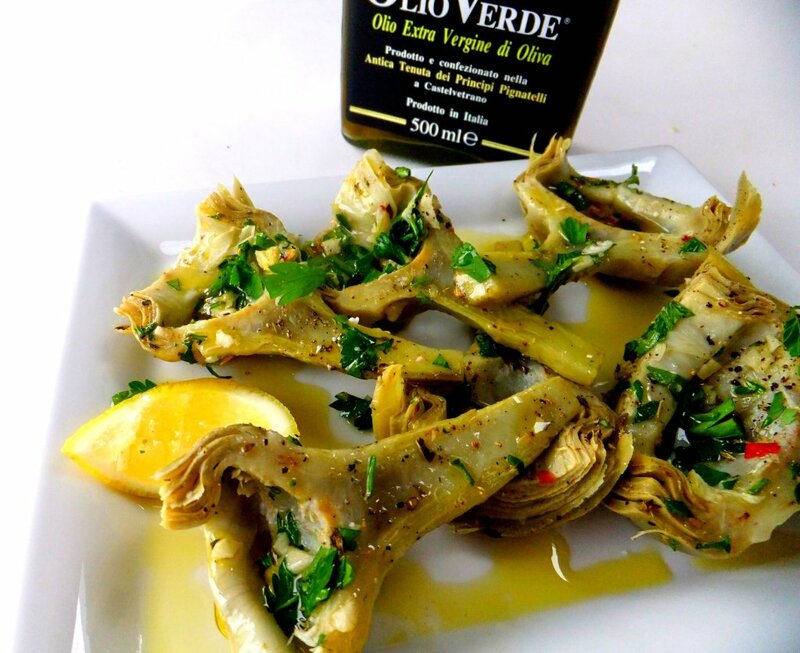 The inherent guide is that the right fats, such as extra virgin olive oils should be consumed in moderation. In most studies, individuals with a higher Mediterranean Diet score have reduced cardiovascular disease, and a lower rate of total mortality. Edit: Adding the details here is a bit much. See pages 44-45 of the full document. A favorite line in Frances Mayes’ Every Day in Tuscany, shares on p. 245, “When ingredients are good, you don’t have to torture them into complex recipes.” Simply well said. Our recommendation goes to the heart of the Mediterranean Diet — Good food, best fresh, simply prepared, and eaten with good company. Good values for health and good living. 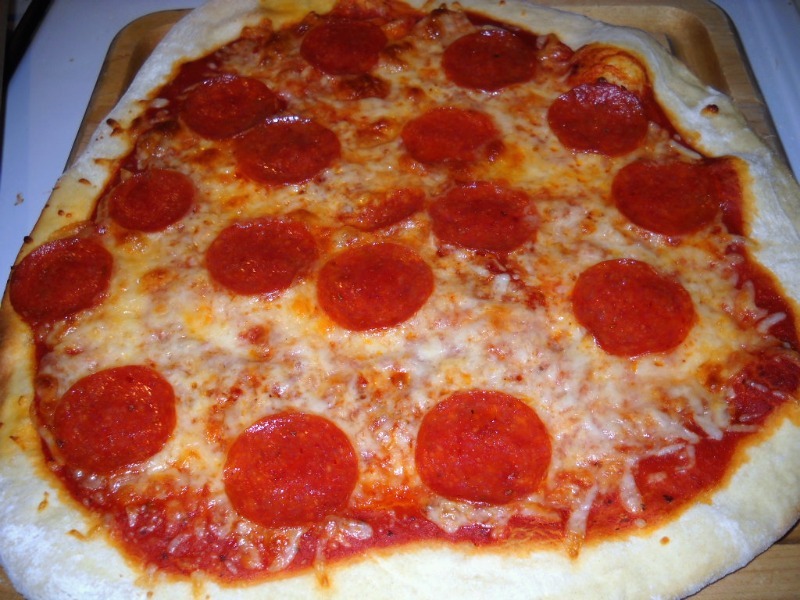 Food for thought: How Authentic is Pepperoni? On any given day I’ll reach into the fridge for a bite of salami, sopressata, prosciutto, or provolone. If none are in the drawer pepperoni is a very distant possibility. Around here it is a choice for kids. I’ll add it to a homemade pizza, but mostly to keep others happy. For Those People, it will go on a tomato-based pizza. On a pizza for my taste, it is possible found slivered, rather than sliced, and spinkled on a “white” pizza with sautéd spinach and slivers of roasted red peppers. The pepperoni adds just a bit of smokey salty spicy goodness to empower the flavors. Beyond that I haven’t given pepperoni much thought until this week. It does seem a bit Americanized, a point that was drilled home by this article in the New York Times. I’d not previously given thought to the fact I’d never seen a stick of pepperoni in Italy. I’m sure I hadn’t missed it there because there were so many other smoked and aged gems to try. After you read this, you might decide to make your own pizza this weekend — and skip the pepperoni? It’s worth considering. Just make sure you have some good olive oil!